These are available in packs from the gold store. They will reset your skills and give you all your AP points back so you can put them in any of the skills you like. This is useful when you are using a hero for a different purpose than you did before, or you made mistakes in your early game before you realized what was best for your empire. Many people have to reset their Noctis hero when they were allotting their first AP points. Son of King Regis, Noctis is the crown prince and heir to the Lucis throne. He is the hero everyone playing Final Fantasy XV: A New Empire starts off with. His skills are broad and if you look at his hero skill tree you can see that it branches off into an “attack” side and an “empire production” side. New players are often tempted to max out the production side since early game is where it helps out the most. If you are just starting out, you might be tempted to do this, but you will benefit more from the troop’s skills on the left side of Noctis’ hero tree. If you have already done this, remember that you can always use a hero skill reset to wipe the board clean. Every hero has a skill that they are known for. Whether it’s just hitting a monster or helping you with your research, they are important in their own way. Whether you are a new player or have played since the beginning, using your heroes to their best abilities can help make building your empire easier or less costly. Not useful for Moogle Market monsters!! Friends with Noctis ever since their teenage years, Prompto comes from a lower class family. He uses humor to diffuse situations and is good with weapons and machinery. He was the first offensive hero released in FFXV: ANE and a lot of attackers took advantage of his skills to increase their damage on their victims. Prompto’s tree splits into city assault and troop specific skills. Prompto’s skills on both sides are good for offense, and you will do better to have a high-level hero to benefit from his skills. He starts out with great attacking boosts as it is, and it just gets better the more AP you have to allot. He is great at leading rallies, with rally boosts, and rally time decrease. Betrothed to Noctis and Ravus’ younger sister, Luna became the youngest Oracle in history. In FFXV: ANE she boosts mage troops, crystal, and defense stats. Luna’s first skill is double Luna gifts! Her skills are best used in defense since she increases hospital capacity and decreases healing time. Luna’s abilities make her the best defender before Gladiolus is introduced. Most players apply AP to the hospital and city defense nodes finishing off with the guardian and mage skills. Don’t forget about attack resistance, which reduces your enemy’s attack by that percentage! ENJOY your four times Luna’s Gift! Advisor to Noctis, he is also the group’s cook and driver. Ignis is calm and composed and is the brains of the party. His abilities in this game are research and trap-focused. His first unlocked skill is double loyalty, which comes in handy at all points of the game. Most people know to use him for research, but do you know the other tricks he can do? Combined with double loyalty from the Oracle or purchased in a pack, you get TRIPLE loyalty! A former mercenary, Aranea specializes in Dragoon type combat and aerial attacks. She is free-spirited and suspicious of other high ranking officials. Her skills are highly focused on mercenary and cavalry troops. Her first AP point is used to unlock Aranea’s Elite Dragoon. These special type of dragoon are “trained in combat by Aranea as part of an elite soldier program in the Third Army Corps 87th Airborn Unit”. They are strong against guardians and Imperial City troops in the early stages of the game. That’s close to getting twice as many troops with the same amount of materials! Sworn shield to Noctis, as is his family tradition, Gladiolus uses his strength to keep his companions from harm. His family has always been guards of the Lucis family. In Final Fantasy XV: A New Empire, his skills are useful in combat, including defense. The first AP point is applied to Commander Recruiting which gives you a commander chest every day. Commanders boost certain troop types or stats to make your attack or defense stronger. Helpful when training t7 troops and higher when you can’t train and then speed up due to lack of materials you need to train and the inability to buy them from the store. Speedups end up costing more and more, so anything that reduces the time needed to train troops is extremely helpful. As Luna’s older brother, Ravus will do whatever in his power to keep her from harm. He lost his left arm while seeking revenge against the Lucis empire, and it was replaced with a Magitek prosthetic. His strength comes from his new arm and he is able to control electricity. Ravus’ skills in-game are troop attack and Magitek. His first skill to be unlocked is the ability to train Elite Magitek Troops. This gives you the ability to train each type of Elite Magitek troop with the attack and HP equivalent to t7 troops. You also receive a daily gift of Elite Magitek Shards in order to train them. 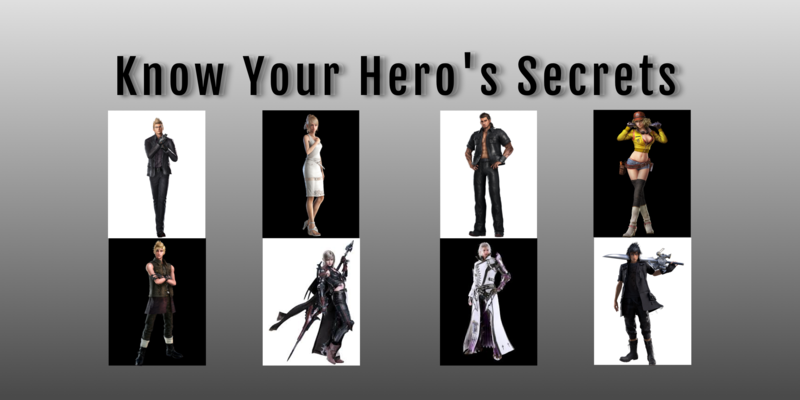 Most offensive players use Ravus because of the many ways to increase attack percentage. All you need to do is activate Ravus when you collect from your expansions and the boost will remain active, even when switching heroes. Increase your Ice well boost by collecting with Shiva! With the max prisoner’s skill, you get attack boosts from the higher leveled heroes in your prison. This increases how many you get that boost from. Grab heroes from farms, enemies, or even guildmates to increase your prisoner count! Truly beloved by those that know her, Cindy is the head mechanic of Hammerhead. She runs the family business and is trusted by Noctis with the group vehicle when he visits her shop in Leide. During gameplay, you will see her skills range from monster attack to trap transportation. Cindy’s first skill point is given to Realm Boss Blueprint Scavenging, which will give you a random drop of the current blueprint needed by your citadel level. Increase MP even further by using Dreadmist Armbands due to her accessory all stat boost! These skills are just listing what is available with each hero active. Hero mastery skills are an entirely different monster and are always available when your hero is not active. The only mastery skill you really need to be aware of is Luna’s Double gift mastery. You will not get the mastery skill activated if the gift pops up or your game is started with Luna active. If this happens, just change your hero and restart the game. Follow the instructions under the Luna’s Special Skills above to claim your double double gift! Do you use a special hero for certain aspects of your gameplay? Let me know in the comments below or join us on Discord or Line and share there. Could you explain the Luna gift trick in more detail? It doesn’t seem to work for me. Checked with a guildmember who also tried but couldn’t get it to work. I check what the gift is, go back, switch to Luna, check the gift and go back again. Switch to other hero, exit game and restart the game. Switch to Luna and open the gift again. Still only double the gifts and not quadrupel. Have you checked the email that you get when you collect the gift? It’s easier to see when it is a contract or port where you will see the x4 amount easily. If Luna is active when the gift pops up, then it will say x1 no matter which hero you use to collect. If another hero is active when it pops up, then the gift will say x2. Then by switching to Luna she will double that x2 gift (but the gift will still say x2). Check the email to see the x4. I will update the article with clearer instructions and a screenshot of the x4 email. Thank you!